OF&G works hard to ensure that its voice is heard on behalf of you, our licensees. This means that we stay in touch with the decision-makers at the heart of the sector; we also sit on a number of key national committees, Government and EU groups making sure that the interests of the organic sector and your business are prioritised at the highest level. All of our licensees are assigned a named Certification Officer (CO). Each member of our Producer Certification team has on average nearly seven years direct certification experience as well as a practical industry background. Your named CO will be your personal point of contact for any certification and inspection matters which means you can get hold of them when you need them and they will provide you with practical, experienced guidance for your business. Farming members of the NFU (excluding Scotland currently) can save money on their organic certification scheme thanks to a continued partnership between the NFU and OF&G. 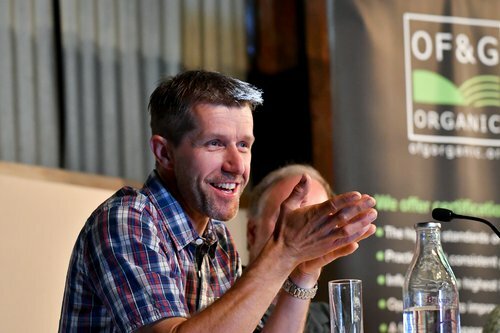 On your first year’s annual certification fee there is a 20% discount for any NFU farmer members who move from another organic control body to OF&G and for those of you who wish to become organically certified for the first time there is 25% discount to any NFU farmer members on your first year’s annual certification fee. 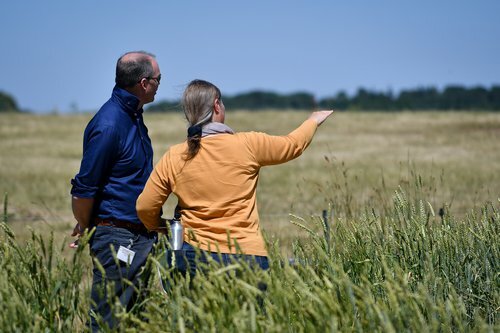 We work in partnership with Acoura, independent inspection specialists, which means you have access to combined farm assurance inspections and the reassurance of working with experts at all stages of the certification process. OF&G’s primary focus is delivering practical and timely support for your business at a fair and transparent fee. 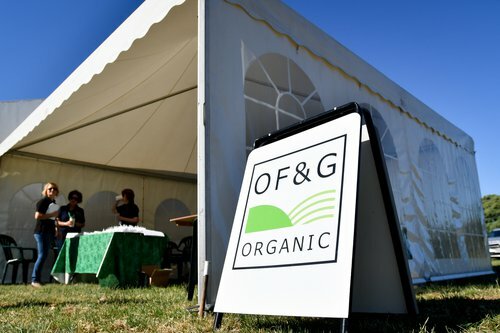 OF&G certify over 50% of the UK’s organic land area. The next stage is to return your completed Application Form to us with the appropriate fee. Farmers/Growers are required to establish and maintain a series of documents which form the Conversion Plan. These forms will be sent to you upon receipt of your Application Form, and they must be completed and returned to OF&G in order to proceed with certification. Following our assessment of your Application Form, an inspector will contact you and arrange to visit to your business and carry out the inspection. This will take from two hours for small operations, up to a full day for large complex operations. The inspector will write a report, which is evaluated by your certification officer. Where it is felt necessary, conditions may be set to bring your system or process into line with the standards. These are issued on a Compliance Notice – you will have to make the necessary changes outlined and send any proof and additional information requested together with a signed copy to your Certification Officer. If no conditions have been set or further information requested the Compliance Notice will be issued to notify you of this and it will not need to be signed and returned. Once all of the above stages have been completed, your business will be registered as a Licensee and a Certificate of Compliance will be issued along with a Schedule to the Certificate. The Certificate can be displayed to demonstrate to customers that your business is registered as organic or in-conversion (Farming). Businesses are often asked for a copy of the current Certificate to confirm that they are certified to produce the organic products being supplied, a copy can be kept on file. The Schedule for farms specifies the products produced and the fields that are under organic management, with their field numbers and areas, and whether organic, in-conversion or remaining under non-organic management, and the date the conversion began. Once your business has become registered as an OF&G Licensee, Defra will be notified that the process has been completed and the business will be entered onto the National Register. bioC will also list all organic businesses/certified operators within the UK. This is OF&Gs’ main inspection and certification scheme and will be relevant to the vast majority of licensees. The programme is based on the European Organic Regulation (EC 834/2007), which forms the core of the standards to be adhered to by operators across the EU. Additional interpretations and OF&G standards are included to expand upon areas of the EU regulation which are open to interpretation or areas not covered by that regulation including, in some cases, compatibility with farm assurance schemes and to include food processing best practices. The full details of our organic certification scheme and its requirements are outlined in the OF&G Organic Standards and Certification Manual, which is available in full on this website. OF&G’s highly trained and experienced Certification Officers can guide applicants through the requirements of the OF&G Certification Programme and then assess the resulting reports from our inspectors, before confirming compliance with the scheme and issuing an organic certificate. As a Farmer/Grower why should I become certified? The labelling and marketing of organic food and feed products is controlled by EC Regulation’s (EC) No. 834/2007 and (EC) No. 889/2008. Any person or organisation intending to produce or process organic products must be subject to an inspection and certification procedure by an approved Control Body. Anyone contravening these Regulations could be subject to prosecution by Trading Standards. The re-labelling of products at any stage of the distribution chain.